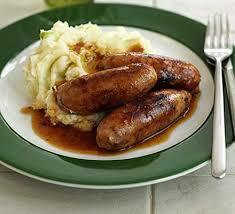 A BUBBLING CAULDRON: Guess Who's Going To Be On The Radio? Life is full of new things, right? Yes, even at my age! Well, Sunday presents a new experience for your humble correspondent. 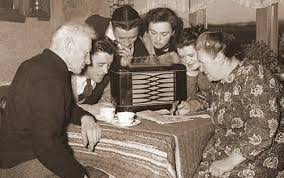 Your previously mute purveyor of information and opinions will be a guest on "Sunday Brunch with Tom Johnson and Lynn Selich" on KOCI, 101.5 FM, beginning at 11 a.m.
Don't get your hopes up, dear readers. 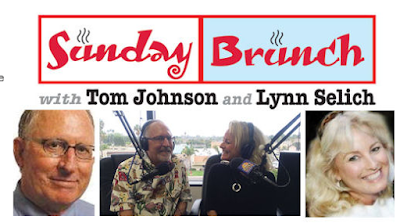 Unlike many of our local politicians, I've never considered myself a particularly strong public speaker, but Tom Johnson asked me to appear on his program this weekend - Lynn's off at some exotic locale - to talk, as he put it, "all things Costa Mesa". He asked me previously, but I was under the weather with what many of you have had since Christmas. It's my understanding that it will just be Tom and me, chatting a little about the city that's been my home for more than four decades while you chow down on your Bangers and Mash and sip Mimosas. I really have no idea what we'll discuss. I suspect the growth-oriented initiative - which is properly identified as "An Initiative To Require Voter Approval On Certain Development Projects" - will find it's way into the conversation, but I don't pretend to be an expert on that subject and Jay Humphrey already covered it on this show recently. We will probably talk about the upcoming election and politics in general. 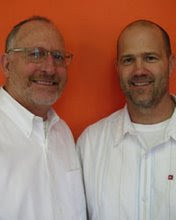 We may talk about the staff shortages in Costa Mesa, and what caused them. We won't have a lot of time, so we'll just play it by ear. I've known Tom since the early 2000's. He was the publisher of the Daily Pilot when I wrote my first commentary, responding to a column by Byron de Arakal, which they published. That's what started this whole thing, so I guess he has to share some of the blame, right? Over the years he, his editors and their successors have offered me a weekly column more than a dozen times, which I gratefully declined. Tom asked me to be one of the local folks on his advisory board when he and Bill Lobdell began their fledgling online news source, The Daily Voice. He and I do not always agree on issues - some of you who follow the blog already know that - but we've remained cordial over the years and I admire his long-time community involvement. The Daily Pilot was in good hands when he was in charge. He's a man who gets things done. 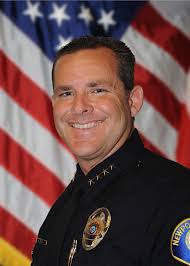 I'm told my segment will lead off the show and will likely be a warm-up for the really big guy, recently appointed Newport Beach Police Chief Jon Lewis. Now THAT interview will be worth the price of admission! So, if you're not doing anything for a few minutes at 11:00 a.m. on Sunday, March 20th, tune in to 101.5 FM or you can listen to it live online if you go to their website, www.kociradio.com. I guarantee nothing except to fill up air space for a quarter hour or so. Even better, stick around and hear Chief Lewis tell you about his vision for the Newport Beach Police Department. Congrats Geoff, looking forward to it! I hope it will be recorded, as I won't be able to listen tomorrow. Picture that everybody you're talking to is naked. Now this I gotta hear.....be there or be square. Be there or be square, but not Public Square. Hoo-wah! I won't be able to listen; I'll be at the train station collecting signatures for the Fairview Park Preservation Initiative. But give 'em hell, Geoff! Thanks for the summary, Ken.. pretty close. :-) Interesting experience. Thanks to Tom Johnson for the opportunity to chart. I listened in. You did a fine job, Geoff. Very clear and coherent. Mr. Nyquist forgot to mention that you said you wouldn't be voting for Mayor Mensinger. Your late-night work is greatly appreciated, and I send thanks also to Susie for tolerating it. Congrats on your radio debut! I echo Eleanor: "Your late-night work is greatly appreciated, and I send thanks also to Susie for tolerating it." Wish I could have tuned it, sure hope it was recorded. Please let us know.